The Global Oneness Commitment is an eight-year project with the goal of uniting people around the globe to mutual actions in order to not only save what we have, but to transform the planet through an increase in spiritual awareness - a new consciousness creating a joyful home for all its inhabitants and sincere respect for all forms of life. The project is synchronised with the twin Venus Transits of 2004 and 2012. It starts with the first Venus transit of June 8th 2004 and ends with the second Transit June 6th 2012. The eight-year project is initiated by the Global Oneness Foundation based in Stockholm, Sweden, in association with the Times Foundation based in Delhi, India. The Global Oneness Project is a web-based video initiative exploring how the simple notion of oneness can be lived in our increasingly complex world. We're traveling the globe interviewing creative and courageous people who base their lives and work on the fundamental understanding that we are all connected and thus bear great responsibility for each other and our shared world. Our living library of films is available for free from our website or on DVD for events and educational use. We are responsible to each other, the earth, and future generations. There are enough resources for us all, if we share. Free exchanges of information allow for greater, collective creative potential. Love, care and compassion have the power to transform the fabric of society. 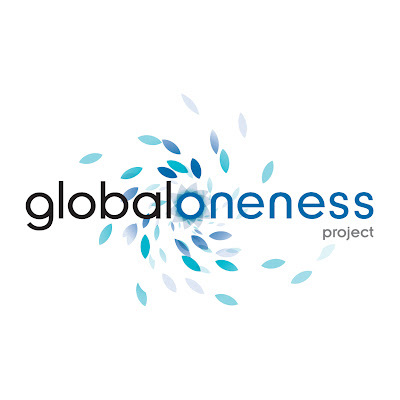 The Global Oneness Project is a special project of Kalliopeia Foundation, a private grant-making foundation in northern California committed to honoring the unity at the heart of life’s rich diversity. noun: The fact or state of being unified or whole, though comprised of two or more parts. Oneness is a fundamental aspect of human experience. When a mother puts the needs of her family before her own, when we recycle because we are concerned about our planet’s resources, or when we instinctively treat others as we would be treated ourselves, we are relating to life with an understanding of our interdependence and the responsibilities that come with it. Oneness has informed spiritual, artistic, and indigenous traditions for thousands of years. And today we are becoming conscious of oneness through sciences, like ecology and physics, and through technology. Right now, for example, as you read these words on the World Wide Web, you are participating in oneness in a way that was inconceivable just a few decades ago. In this moment you are connected to the millions of Web users all over the world—a global network of people exchanging ideas and finding common ground across different histories, nationalities, languages, interests, and lives. So why are we interested in oneness? We have seen again and again through our film subjects that when people shift their focus away from personal fulfillment towards the needs of the community – be it local or global – innovative and life-sustaining solutions are born. We see this potential reflected all around us, and we hope to encourage others to recognize and participate in this emerging awareness so we can work together to help create a world that consciously reflects the values of oneness: freedom, compassion, abundance, and respect for all life.